If you love swimming in the sea and observing ocean wildlife, scuba diving is for you. 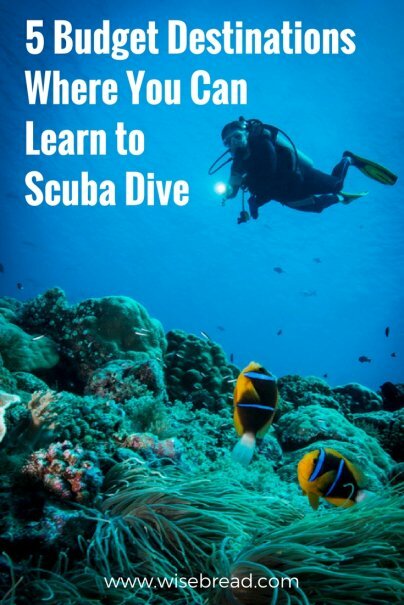 Once you learn to scuba dive, you can explore the depths of the ocean and see much more than you would during your average snorkeling session. Unfortunately, you do have to get certified to enjoy this hobby safely. The world's biggest certification organization is the Professional Association of Dive Instructors (PADI). Once you get your PADI open water certification, you'll be able to dive at thousands of dive sites around the world. Getting certified involves mastering written coursework as well as skills taught in a swimming pool that are then built upon in the open water — the ocean, a lake, or even a quarry. In many U.S. cities, you can get certified by local instructors. That would certainly save you on travel costs, but it can be much more fun to learn to dive in a beautiful, warm destination. Why not combine your certification course with a vacation? It doesn't have to be expensive. In many locations, the PADI Open Water certification course is the same price or even cheaper than the same course in the U.S., and you can take it while staying in affordable accommodations. Here are five destinations that fit the bill. If you're aching for a scuba experience you'll never forget, check out the offerings in Utila, a Caribbean island that belongs to the Central American country of Honduras. Utila offers world-class diving at the southern tip of the Mesoamerican Barrier Reef System — a series of reefs that stretch 450 miles across the Caribbean. If you're in Utila in March or April, you even stand a good chance of seeing migrating whale sharks. Utila is often compared to nearby Roatan, which is also an island in Honduras, but Utila is even cheaper and better for diving. Some say it is the most affordable place in the world to dive. The Utila Dive Center offers an open water certification package for just $349. This package includes coursework, dives, and certification, along with five nights of very basic accommodation in the nearby Mango Inn. Besides the course, you also get two dives, and unlimited snorkeling and kayak use for free. Getting to Utila shouldn't be too expensive, either. You can fly from New York to Roatan for around $500 round-trip, for example. From Roatan, you can take the Utila Dream Ferry back and forth to the island for $30 each way. Cozumel is another place to experience the Mesoamerican Barrier Reef System, including towering coral walls that host an incredible range of sea life. 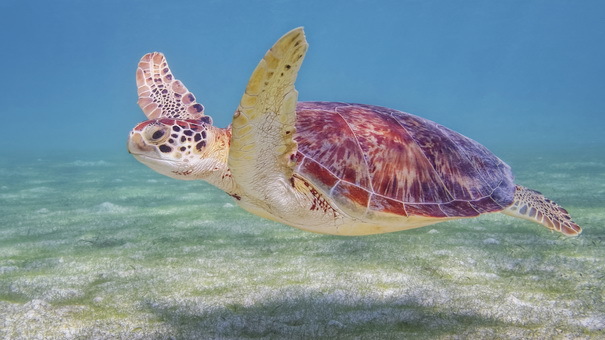 Most of the dive sites here are located in the Cozumel Reefs National Marine Park, a protected area that's home to some of the most beautiful coral reefs in the world. Cozumel sits off the coast of Mexico near the town of Playa del Carmen, and there are several ways to access it. You can fly directly into Cozumel (prices from Chicago start at around $550 round-trip) or into the busier airport at Cancun (flights cost around $260 and up). From Cancun, you can take another flight ($125 round-trip) or an $11 bus plus an $11 ferry to Cozumel. When it comes to scuba operators in Cozumel, there are ample affordable options to consider. 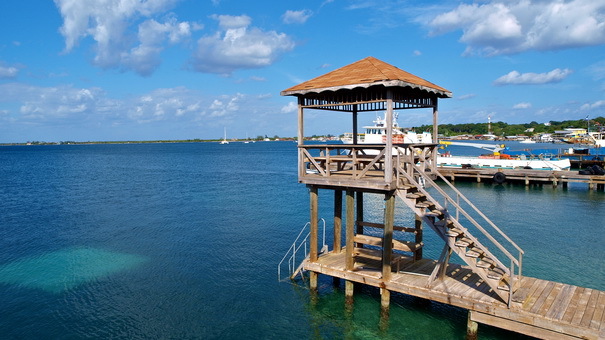 For example, Scuba Club Cozumel Dive Resort offers a five-day open water certification course for $375 plus tax, and a seven-night accommodation package for $699 plus tax. The Caribbean island of Curacao is known for its abundant wildlife, crystal clear waters, and scuba opportunities. 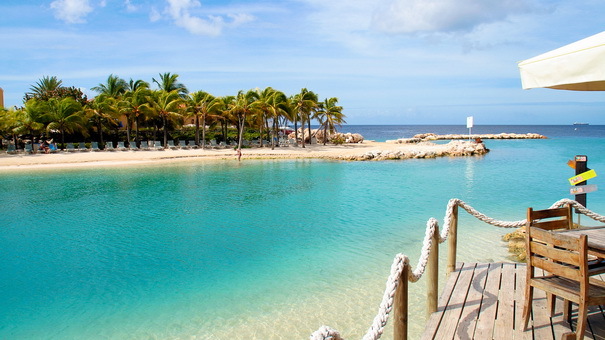 Located just north of Venezuela, along with Aruba and Bonaire, Curacao is seldom hit with hurricanes or tropical storms. Many scuba dives are easily accessible from the shore. At Scuba Lodge Boutique Hotel & Ocean Suites, guests can combine their love of travel with scuba certification at a price most can afford. A five-day PADI Open Water Diver course starts at $500, which you can combine with an on-property stay starting at $155 per night ($179 per night during peak season: late December through March). The certification class includes six dives, five of which take place at various dive sites around the island. The best part about Curacao is that, unlike many far-flung diving destinations, getting here is affordable. Nonstop, round-trip flights from New York start at around $200. Whether you're an experienced diver or someone just learning, Bonaire is an island you'll want to pay attention to. 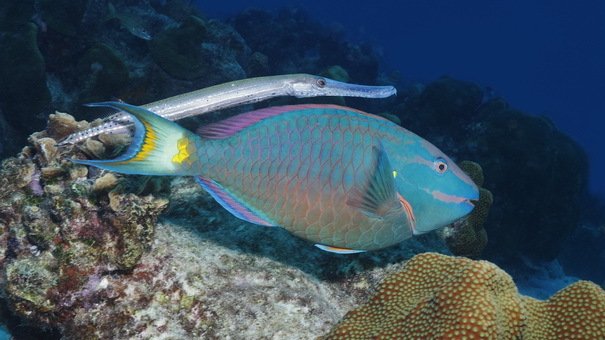 This Caribbean paradise claims 86 separate dive sites as part of its marine park, featuring more than 350 recorded fish species and 57 types of coral. Getting scuba certified in Bonaire can also be affordable, thanks to reasonable dive and lodging options on the island. The Divi Flamingo Beach Resort & Casino is an easy proposition. You can earn your open water certification over five days for $495, and stay in a standard double room at the hotel for $148 per night. While there are many ways to reach Bonaire, most people fly to Curacao, then book a 25-minute flight to and from Bonaire. In October, a round-trip flight to Bonaire from Curacao on InselAir will set you back around $117. Flights to Curacao from New York start at $200. Although Belize is also known for being one the most expensive countries in Central America, it's not bad when compared to some Caribbean islands. There are also plenty of resorts that combine hotel stays with dive courses at good rates. Ramons Village Resort is just one option. Rooms start at $155 per night and you can get your open water certification through the resort for $450. 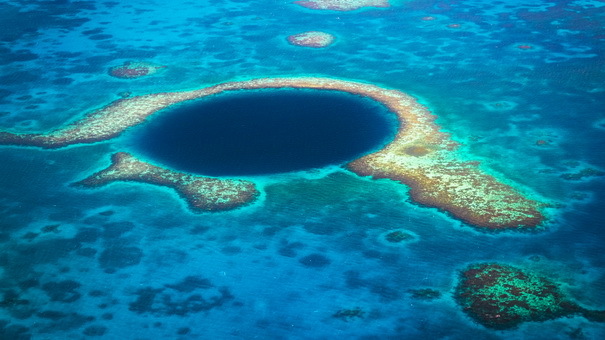 Belize can be extremely affordable to get to, depending on where you live. Flights to Belize from Chicago on Southwest Airlines start at around $400, and may run even less during Southwest sales.